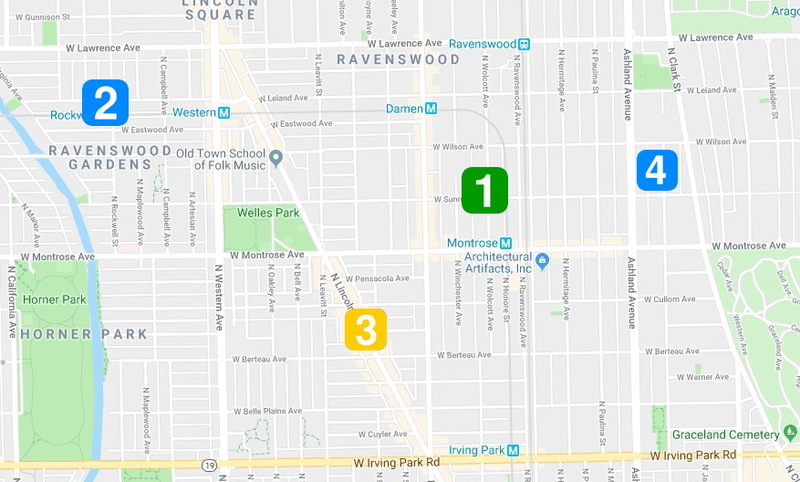 Approximate locations of four burglaries listed in today's police alert. Four homes in the Town Hall Police District were burglarized last Friday and police believe the cases are connected, according to a newly-released community alert. Homes were struck in the Lincoln Square, North Center, and Uptown neighborhoods according to the police department’s press release. The burglar entered homes by using force and also by going through unlocked doors. Police said the suspect is male, white, 5’10” to 6-feet tall, and 150 to 170 pounds. • 4400 block of North Wolcott at approximately 7:15 a.m.
• 4600 block of North Rockwell at approximately 11 a.m.
• 4200 block of North Lincoln between 10 a.m. and 6 p.m.
Police encouraged residents to pay attention to suspicious people, especially if they are loitering. Anyone with information about the burglaries is asked to call Area North detectives at (312) 744-8263.